The 11th annual Hoops from the Heart basketball games are being held on Wednesday, May 29th in support of inner-city kids. Do you want to have fun, save lives and help inner city kids? Hoops from the Heart is an annual event (now into its 11th year) where the best men’s and women’s basketball players in Manitoba play two games at the University of Winnipeg's Duckworth Centre. In the process, 150 inner city kids are there to watch the games, receive a free meal, get their own Hoops from the Heart T-shirt and take a basketball home signed by one of the players. The proceeds of the games have also helped to create a scholarship specifically for an inner city youth to go to either the University of Manitoba or the University of Winnipeg to play basketball. Watch great basketball and help Winnipeg’s inner city kids! 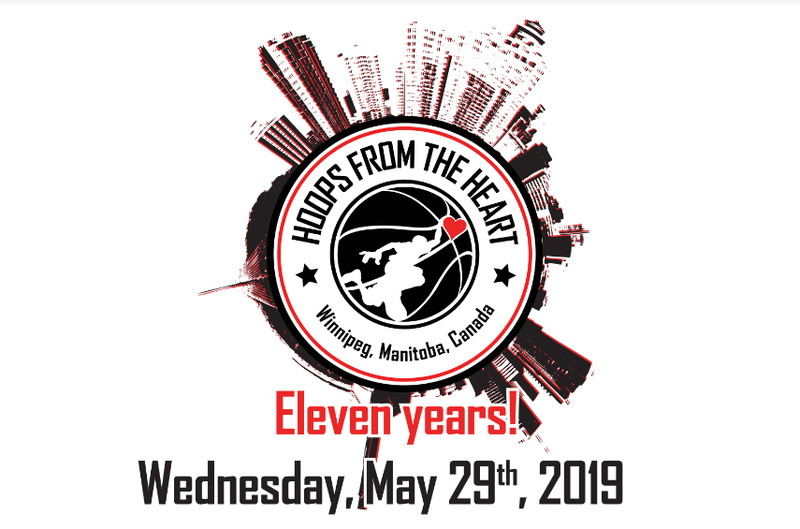 Help fight heart disease, the #1 cause of death in Manitoba today and show your support for the present and future basketball stars of Manitoba. Come on out to the University of Winnipeg’s Duckworth Centre on Wednesday, May 29th. It’s all for a great cause! Rosters will be announced in the weeks leading up to the event.